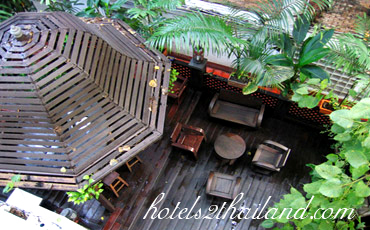 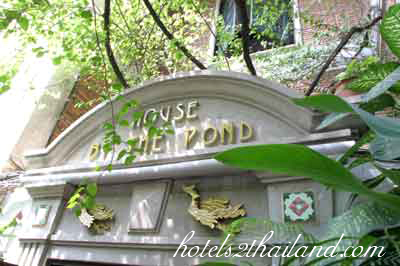 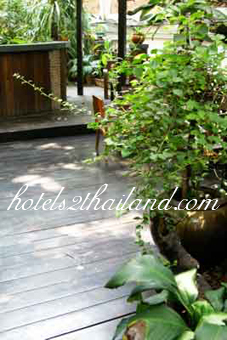 House by the Pond Boutique Serviced Apartment is a tropical oasis in central Bangkok with all the charms of the old world. 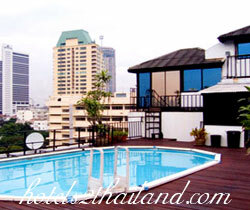 Quotes from Jones Lang Wootton Asia Pacific Property 1996 Page 38 "The First International Standard serviced apartments in Bangkok which opened in 1991." 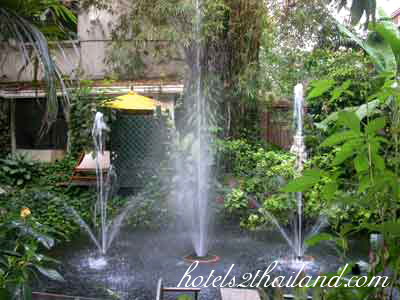 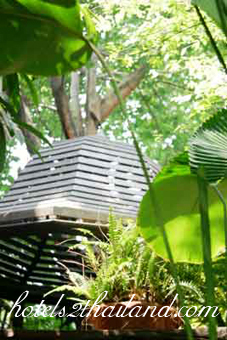 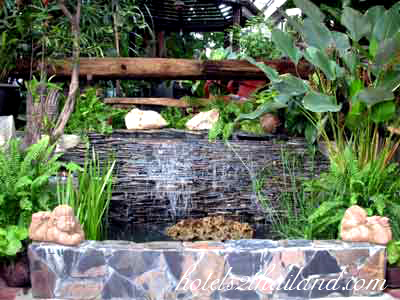 House by the Pond is set in lush surroundings with a mature tropical garden and a pond. 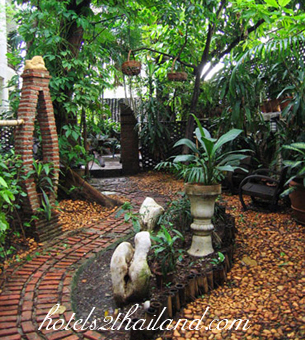 House by the Pond is ideally located in the middle of central Bangkok within walking distance to the great entertainment and shopping centers and moments away from the BTS Sky Train and the Underground. 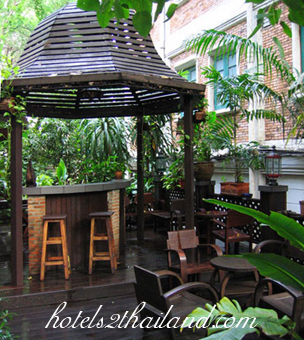 We provide fully serviced apartments with a kitchen in each apartment, 24 hour security, free Wi-Fi high speed internet, self- service laundry, a plunge pool, a gym and a mature garden with an iconic pond which is a place of peace, serenity and tranquility to relax in the middle of the Bangkok metropolis. 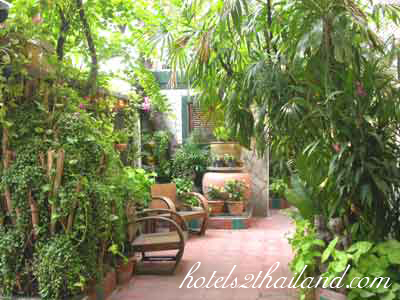 The atmosphere is best described as being warm, friendly, charming and, above all, homely. 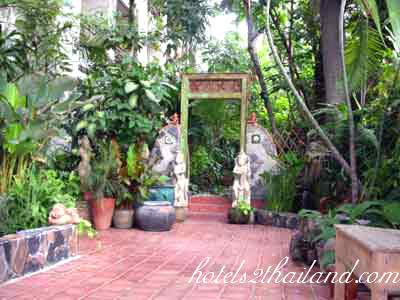 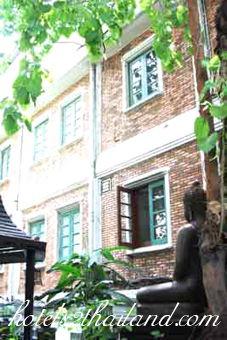 The architectural style of House By the Pond is very refine and unique to Bangkok as it is of traditional period European style. 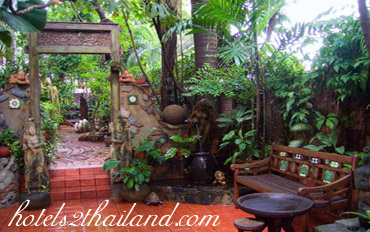 We have been in the industry for a very long time and pride ourselves in being one of the best valued for money serviced apartments in Thailand.